Field of striated boulders on the wall of Aristarchus crater. Uphill is towards top of image. LROC NAC image M120161915. Aristarchus crater is located on the edge of the Aristarchus Plateau, one of the most geologically interesting regions of the Moon. 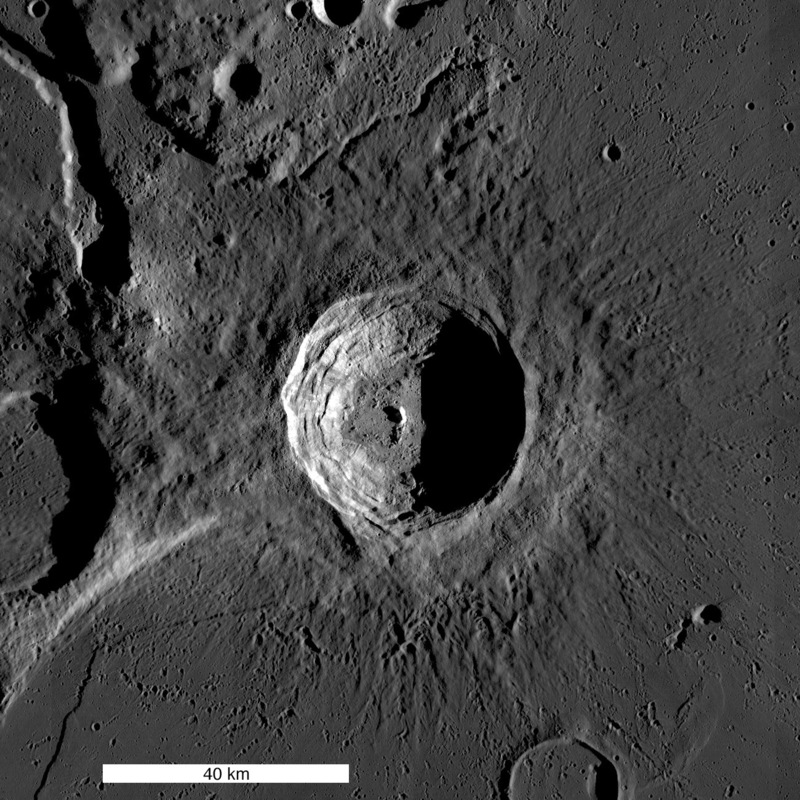 It is a 40 kilometers wide, 3.5 kilometers deep, complex impact crater, which probably formed about 175 million years ago. The impact straddled the boundary of the plateau and the surrounding mare, thus excavating both very different rock types, as well as underlying crustal rocks. Previous posts have highlighted features of the Aristarchus Plateau, including Valles Schröteri and the pyroclastic deposits that blanket the plateau. Compositional differences within the central peak of the crater have also been noted, and highlight the importance of studying the geology of this crater. On the northeastern slopes of Aristarchus, there are numerous large, stratified blocks of ejected material. These blocks are banded with alternating layers of light and dark material. Dark layers are typically less than 1 meter thick, and bright layers range between 1 and 10 meters thick. The boulders are randomly oriented, so they are not in their original position but rather appear to have tumbled down the wall of the crater from above. Unfortunately, no clear layers of rock are observed in the crater wall because it has been covered by impact melt and debris. Luckily, however, some stratified blocks are observed outside of the crater, and would be accessible for any future astronauts to sample.